Auckland Transport (AT), Henderson-Massey Local Board, Auckland Council and Panuku Development Auckland, are working together on initiatives in the Henderson area to make it more accessible and a better place for everyone to live, work and play. We want your feedback on what we can do to deliver better walking and cycling connections, enabling Henderson to become more vibrant and a more attractive place for everyone. "We want to unlock every option for people to travel around the area, and promote the best projects to serve local business. It will be led by you, and directed in partnership with the strong local business association providing you a collective voice," says Shane Henderson, Chair of Henderson-Massey Local Board. "Henderson is a busy transport interchange, which will become even busier after completion of the City Rail Link. 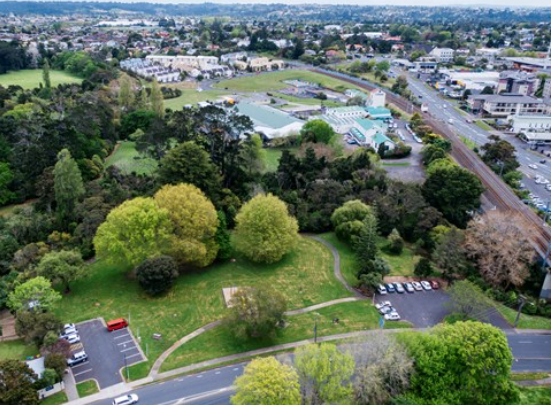 We want to improve walking and cycling links to the train station and the town centre from surrounding suburbs to make it easier for local trips and longer trips to other parts of Auckland." All addresses within the 3km radius of Henderson train station and town centre will receive a copy of the consultation brochure in their letter boxes. You can complete the freepost feedback form and return it by Wednesday 23 May 2018. Provide feedback online at at.govt.nz/haveyoursay. There is a drop in session on Thursday 3 May from 4pm-7pm at the Waitakere Central Library, 3 Ratanui St, Henderson. You can meet our project team and give us your feedback. This is an early phase public consultation to help us understand community needs in the Henderson area. We want to identify and improve the key routes that people want to use when cycling or walking between train station, town centre and local community facilities. We will seek further community feedback as projects get underway. The feedback will help to inform current and future projects that benefit the wider Henderson area over the next 10 years.